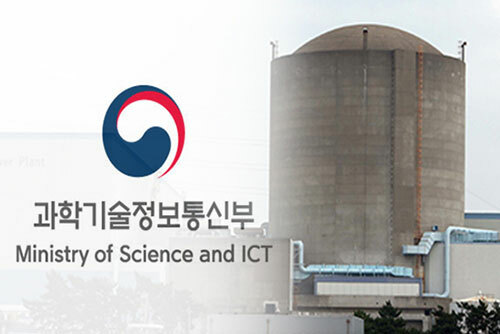 The Ministry of Science and ICT says it will invest seven-point-six billion won into 27 new projects this year to advance technologies utilized in South Korea's nuclear power industry. The ministry said on Monday that 10 research projects related to nuclear safety, nuclear fusion, nuclear reactor decomposition and nuclear waste management will be selected to receive grants worth 500 million won each. The remaining budget will be distributed to 17 other research projects aimed at resolving social issues or enhancing the value of the nation’s nuclear industry. The projects will include those that seek to utilize nuclear technologies to preserve cultural heritages and mitigate fine dust.